This pendant from Posh Mommy salutes children born during the month of July. 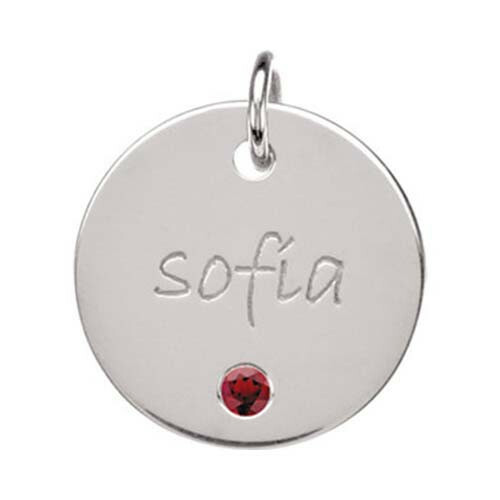 It's a piece of birthstone jewelry crafted in sterling silver that features a decorative synthetic ruby. The circular disc is engravable with up to eight characters, from a name to a meaningful date. You can purchase a chain separately.